Can I get just one t-shirt printed? Unfortunately no. Our minimum t-shirt order is 12. Our specialty is printing large quantities of apparel, that means we had to stop printing smaller orders so we could focus on hitting deadlines and meeting a high quality standard. Can I mix garment styles to meet the minimum? Yes, you can mix the sizes/colours of the garments, as long as the print artwork is all at the same size/colour. For example, a white artwork print can go on a black, dark grey or royal blue t shirt in different garment sizing depending on your need. Can I order blank garments? Yes you can. The minimum quantity is the same as an imprinted order. The price will be $1 off the printed price. What is the maximum screens (colours) we can have per print? This is a great question and will depend on your artwork. If you want to go all out and get tons of screens for a very colourful t-shirt, we’ll help you make it work! Remember that you’ll save costs by reducing the number of colours, and a tasteful few colours can be more noticeable than a whole rainbow but again, we’ve got your back. Email info@artik.com to ask one of our expert Sales Reps.
What’s the difference between screen printing vs printed transfers? Vinyl transfers are a quicker and simpler process. Your design is cut out of coloured vinyl material and pressed with heat against the fabric of the t-shirt. While vinyl transfers look good, they usually aren’t as beautiful or long lasting as screen prints. This makes vinyl transfers better for temporary uniforms or quickly customized t-shirts. Can I add different text on the back of each tee? Yes, we do individual names add ons. We use 1 colour vinyl transfers, choose from: White, Black, Navy, Red, or Royal Blue. The text would have to be all capitalized in a bold font. No, all artwork must be 0.5″ away from the seam. We’ve experimented and the seam tends to ruin the print. Yes, as long as the side does not have a seam. A popular choice would be the Gildan 64000 t-shirt. Hit us! 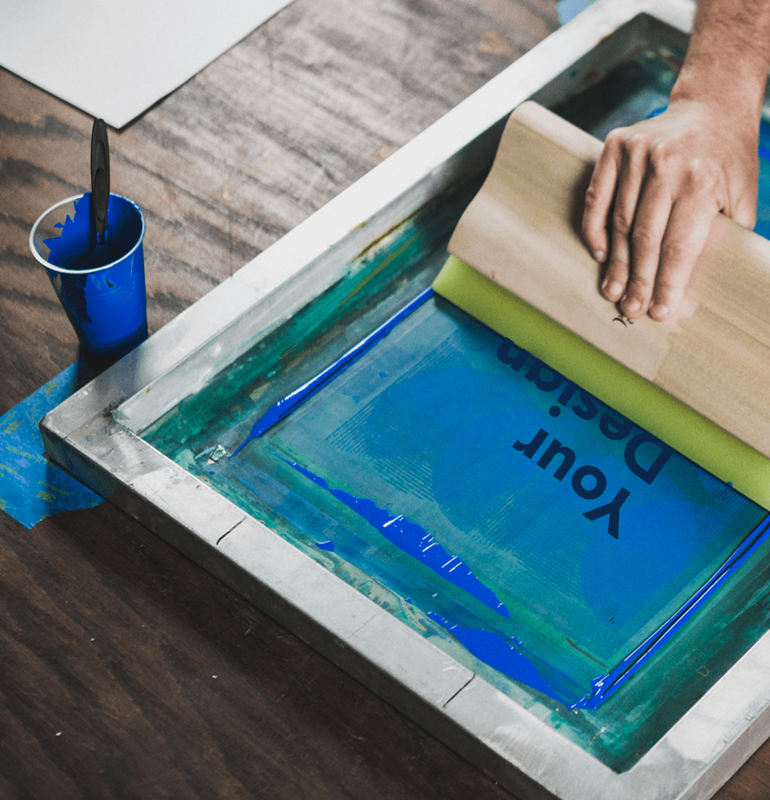 We’re always ready to answer your questions about screen printing or whatever else comes to mind. Email info@artik.com or call 416-815-7770.